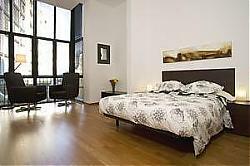 These spacious, high-quality apartments are located is some of the most prestigious locations around Barcelonaâ? ?s city centre. These locations include the elegant Eixample district.